If you’re anything like most cruisers, then you look for a great deal when booking your cruise. From “kids sail free” to 30% discounts to $50 deposit sales, the cruise lines push sales so often that it can be tough to keep track of what’s a great deal and what’s hype. The truth is, however, that when you sail plays a much bigger factor in what you’ll pay than when you buy your fare. There are many times of year that even if you score a good deal, you’re still paying hundreds more than the same trip sailing during less busy times. To our knowledge, no one has ever actually studied cruise fares to determine when the least expensive day to sail actually is and on which day you’ll pay the most money. Sure, there are broad generalizations such as sailing during the summer is more expensive. But if you are a real deal-hunter, then you likely want more precision than that. That’s why we undertook a massive research project. We looked at more than 2,500 cruises departing over the next year to determine that absolute most expensive day to cruise, the least expensive, and all sort of other facts about cruise fares that will help you save money on your next trip. Before we could even begin to figure out which day is cheapest to cruise, we had to gather data. For that, we looked at cruises departing from February 2017 through January 2018. This date range gave us a full year of departure dates and complete schedules. Some cruises lines don’t yet have schedules published later than April 2018, so we couldn’t gather data for future years. From there, we looked at every single cruise from Carnival and North America departing from a North American port, which overwhelmingly means the United States. This covers every major port from Seattle to New York to Miami to Los Angeles. It also includes departures from San Juan, Puerto Rico and Alaska. Our study did not include lines like Disney, Norwegian, or Princess. Same ship. Same trip. Much different prices based on the day you sail. In total, our study included exactly 1,600 cruises by Carnival and 906 cruises by Royal Caribbean. (Note: There were several Royal Caribbean trips during the Alaskan summer season that were already sold out. We did not include these trips in our analysis.) The shortest trip was a 2-day cruise from Carnival. The longest trip in our study was a 19-day journey from Royal Caribbean. When looking at the price of cruising on a particular day, however, there is an issue of trip length. After all, prices for shorter cruises are going to be much lower overall than the prices of longer cruises. For this reason, we took our findings a step further. Instead of just looking at price, we looked at the price per day. So a 7-day trip costing $900 would be a price of $129 per day. For our research, this is considered the same “price” as a 4-day trip costing $516. This way, we are able to compare all cruises on a level playing field, no matter how long the trip. What did our analysis reveal? The heatmap below shows every day for the next 12 months, along with the relative price of cruises departing on that day. Days in white are when neither a Carnival nor Royal Caribbean has a cruise departing on that date. Days in red are when cruises are most expensive while days in green are when cruises are the cheapest. Remember, this is for the day of sailing — NOT when you purchase. You can see the overall theme clearly. The summer (especially July) and around the holidays are most expensive. This makes sense as it is a time when families are able to cruise without kids missing school. The cheapest days to sail are in the first half of November and December, as well as all of January. If you can sail at these times, you can save a fortune. The absolute least expensive day to say is January 22. Cruises departing on this day cost an average of just $60.07 per person, per day. The most expensive? July 14. This is the peak of the summer cruising season, and a time when cruises to Alaska — which are more expensive than Caribbean cruises — are at their peak. While this analysis is a good overall barometer of when it’s cheap to cruise, we wanted to take things a step further. In particular, many of the cruises in the analysis are longer journeys (10+ days) to Alaska that can skew our results. Longer cruises can also lead to higher prices than we’d expect to see on most cruises. That’s why we also analyzed the price of cruises that were seven days or fewer in length. These are the most common trips for passengers to take. How does our analysis change if we take out longer cruises? You can see from the heatmap below that the overall pricing of cruise fares is the same. It is still expensive to sail during the summer and cheaper in the winter. However, the specific dates of the most expensive and least expensive dates have now changed. When looking at cruises that are seven days or fewer, the cheapest day to cruise is now December 4, with an average price per day of just $56.66. The most expensive day is now April 19, with an average price of $185.40. Note that this is because there is only one cruise scheduled for this day, a rather expensive trip aboard Royal Caribbean that sails to Cuba. What’s the Cheapest (and Most Expensive) Day of the Week to Sail? Everyone knows that what day you fly on an airline has an impact on the price you’ll pay for your ticket. Fly on a Saturday, and you usually see lower prices. Does it matter what day of the week you sail on a cruise in how much you’ll pay? As it turns out, yes it does. After looking at more than 2,500 cruises, we broke down the price of each cruise depending on which day it departed. As you can see, there is some difference in fares based on day of week. According to our research, the average price per night among all Carnival and Royal Caribbean cruises for the entire year was $108 per night. But the price you pay will range from as little as $90.98 per night if sailing on a Monday to $153.93 if sailing on a Tuesday. We also took a look at pricing by day of the week for cruises of seven days are fewer. This helps to weed out some of the most expensive cruises that are longer in length. As you can see from the results, Monday is still the cheapest day to set sail, costing just $85.71 per day. Tuesday is also the most expensive day, but the price has dropped to $119.69 per day. While we can’t say for sure the cruise lines purposely make certain days more expensive, it is something to keep in mind when shopping for a cruise. It only makes sense that longer cruises are more expensive than shorter cruises. Everyone would expect to pay more the longer they are on a vacation. But how do the costs of shorter and longer cruises compare on a per-night basis? Is it a better value to sale a shorter trip or a longer trip? Using our data, we can finally put the issue to rest. First, here is the average price of cruises for each length. As you would expect, the price rises the longer the cruise. But what is unexpected is that the price per day doesn’t fall the longer the cruise goes on. In fact, the price per day for a 7-day cruise is actually more than for a shorter trip. The greatest value per day comes from 4-day cruises. The trips have an average cost of $87.32 per day throughout the course of the year. If you’re looking for the most value for your dollar, stick with 4 & 5-day trips. So what’s the takeaway for you as a cruiser? This research shows there are widely varying prices in what you’ll pay for your trip. Passengers who are flexible with their dates can sail much more cheaply by taking trips during the winter months, specifically those trips that sail on Mondays. If you are forced to sail during the more expensive summer season, look for other ways to save money on your trip. For example, if you’re looking to stretch your vacation dollar during the summer sailing season, you can save by taking a shorter trip, which cost significantly less on a per-day basis than longer cruises. Most of all, we hope that people interested in finding the best deal on their next cruise have more information to make sure they are getting the best deal possible. Lots of work, but when you like what your doing, it’s no big deal! It looks like you are looking at base price. What about the perks when they have the free drinks, internet deals that they have a lot of on Caribbean? Good question. 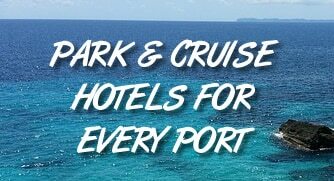 Most of the free perks like that are on Norwegian, which we didn’t include because they aren’t as widespread as Royal Caribbean and Carnival. As well, those perks can change constantly. We wanted to look at price — the one thing that every cruise has in common.